I love hydrogel mask. So of course, I want to try it out when Neutrogena approached me for this review. Plus, I thought it would be fun to have Dexter join me in this video too. 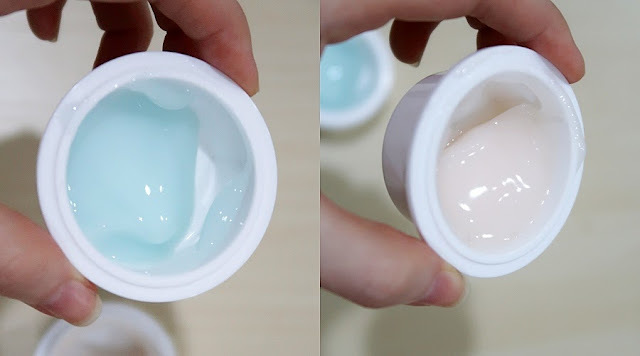 They also sent me their sleeping mask capsule which I'm less excited about but have tried it and reviewed in further in this blog. 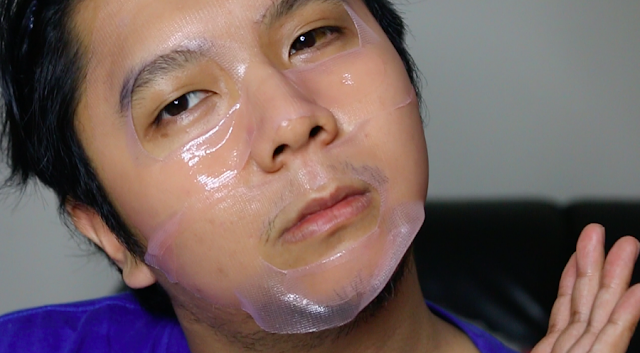 For now, do watch our video for a little entertainment while having a closer look on the new Neutrogena Hydrogel Mask. Do like this video and subscribe to our YouTube Channel or Like our Facebook Page! They claim that this 100% paperless Hydrogel Mask is packed with 50% more nutrient than a cotton sheet can and the serum in the hydrogel mask is absorbed into the skin as the hydrogel melts. It keeps the skin directly in contact with the mask for a longer time without evaporating as quickly as a cotton sheet would. It said to be able to minimise dripping too. Using one mask is equivalent to using one bottle of hydrating serum in 15 minutes. That's a huge claim. The first few points are true, it doesn't drip as much as a cotton sheet do, it sticks to the skin well where you can still stand and work with the mask on, more cooling, and take a longer time to dry. In my opinion, this mask works fine. The hydrogel sheet is a little thinner as compared to some other hydrogel mask that I've used before. However, because I have dry skin, the moisture is not as long lasting as some other mask is able to provide me. I do still feel absolutely relaxing and comfortable wearing it, and instant rejuvenation when I remove the mask but the hydrated feeling doesn't stay on my skin for long. Generally, with a moisturising mask, I tend to rely on the mask juice to get through the night as most of the time they are moisturising enough for me but for this, I am required to apply a moisturiser on top of it before I sleep to lock the goodness in. This is not a bad thing, I think people with oily skin would benefit from this. A hydrogel mask that doesn't make you feel like your face just took a bath in a tub of cream. 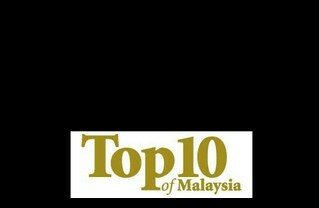 Plus, it's a great option of Malaysians since our weather is so hot and humid. Just that for me, I like something heavier. Fine Fairness Hydrogel Mask - contains Niacinamide which leaves skin luminous and radiant looking. Hydro Boost Hydrogel Mask - contains 100% natural derived Hyaluronic Acid that leaves skin optimally hydrated, radiant, and supple. It claims that you can get all benefits of a facial treatment in 15 minutes. However, isn't this a sleeping mask that meant for overnight use? I'm confused. Anyway, that aside. I have to say I'm pretty impressed with these if I truly am generous with it on my face. For me, the hydration was so real during the one night that I slapped a thick layer of this super thick gel pack on my face. The downside is that I can't wear my glasses on if I plan to continue working through the night but the upside is that my skin felt so good the next day! Thus, for me, I have to be extremely generous with this for it to work to my liking. However, if you don't like to feel too heavy on the skin, you may use them sparingly then keep the extras in a tupperware and in the fridge. Even for me, with generous usage, I can use one capsule for about 3 times. From the capsule (10ml) it doesn't look a lot but it actually is. Additionally, they mentioned that you can mix it with essential oil/boosters in to the mask for a customised experience. Fine Fairness Capsule Sleeping Mask - contains Niacinamide to make skin luminous and radiant looking. Hydro Boost Capsule Sleeping Mask - contains 100% natural derived Hyaluronic Acid that leaves skin optimally hydrated, radiant, and supple. Unfortunately, you can't buy them both from one store. If you realise, the Hydrogel Mask is only available in Guardian while the Capsule Sleeping Mask is only available in Watsons. It's probably for exclusivity sake, which store doesn't want to be exclusive to one product that people can only buy from you. However, if you go to a mall, there's usually both stores available. OMG, after reading your blog, I wanna try it, cuz I have it too!